After a few dried husks were placed on top of the bunk bed Abby-Roo hopped upstairs for a nibble. Drawn by the sounds of frenzied munching, Revy lumbered over to investigate and opted to climb the grids instead. While Revy was determined, Abby-Roo had the advantage of already being in the loft. 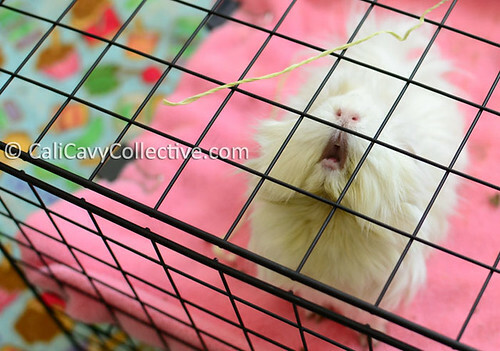 From above, it looked like she was auditioning for Jaws: Guinea Pig Edition. Crunch - those corn husks never saw it coming! 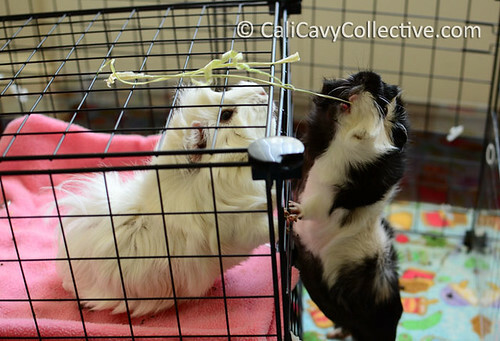 In case you missed it, a tutorial on how to dry corn husks for your guinea pig.